Love And Relationships: Men Really Are From Mars! In this week’s Love Essentially, published two days ago in Chicago Tribune Pioneer Press, I write about love and relationships, specifically how men and women differ in their views on the subject. 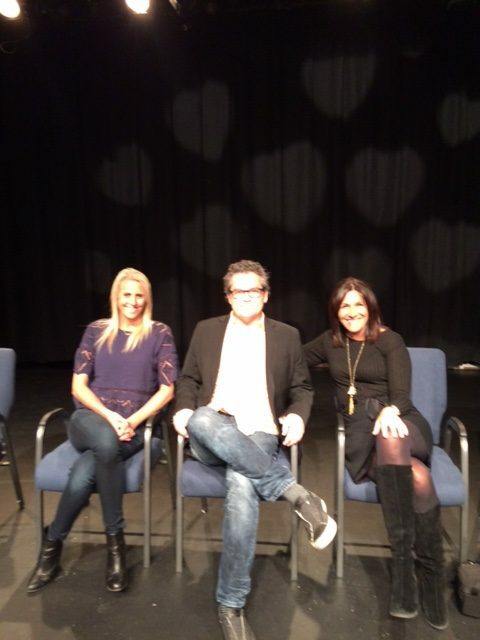 Last Friday night, I had the pleasure of sitting on the panel of experts for “The Great Love Debate,” a national touring show that had a Chicago stop at the Greenhouse Theater Center in Lincoln Park. Facilitated by the show’s host and producer, Brian Howie, along with four other panelists, a crowd of men and women discussed and debated dating, relationships and love. To say there were a few noteworthy differences in the way men and women viewed things is putting it mildly. After the show, I sat down with Howie, the Los Angeles-based producer of “The Great Love Debate” and author of his book, “How to Find Love in 60 Seconds,” to find out what drives such opposing gender opinions and perspectives. Howie, who said he interviewed 2,000 women to prep for “The Great Debate,” which has made stops in 78 cities over the past two years, cited five major philosophies in which he finds guys and girls differ greatly. Howie claims technology isn’t the problem, but rather the reaction to the actual change, which is the blurring of the gender roles. According to 49-year-old Howie, who has never been married, men are fundamentally more optimistic and romantic when it comes to dating. Howie said that to men, rejection means “I won’t even get the opportunity of a date,” and that women are afraid that if they let a man into their life in a romantic way, he will eventually hurt them, whether it is in three days, three months or three years. Men don’t process heartbreak or pain well, while women build up an immunity to heartbreak and bounce back quicker. According to Howie, men hold onto the pain of a breakup longer than women. I don’t think anyone will argue that men and women can be as different as night and day when it comes to the way we think, not just about love and relationships, but about anything. And that’s OK. Having opposing views is healthy, and keeps a relationship challenging, exciting and lively. But let’s face it. How many times have you been on a date or with your spouse and thought to yourself, “What planet is he or she on?” Probably too many to count. The key to staying amicable and happy (and sane) together is understanding and respecting your spouse’s feelings, no matter how silly or strange they might seem, and communicating with each other constructively to manage and resolve disagreements.